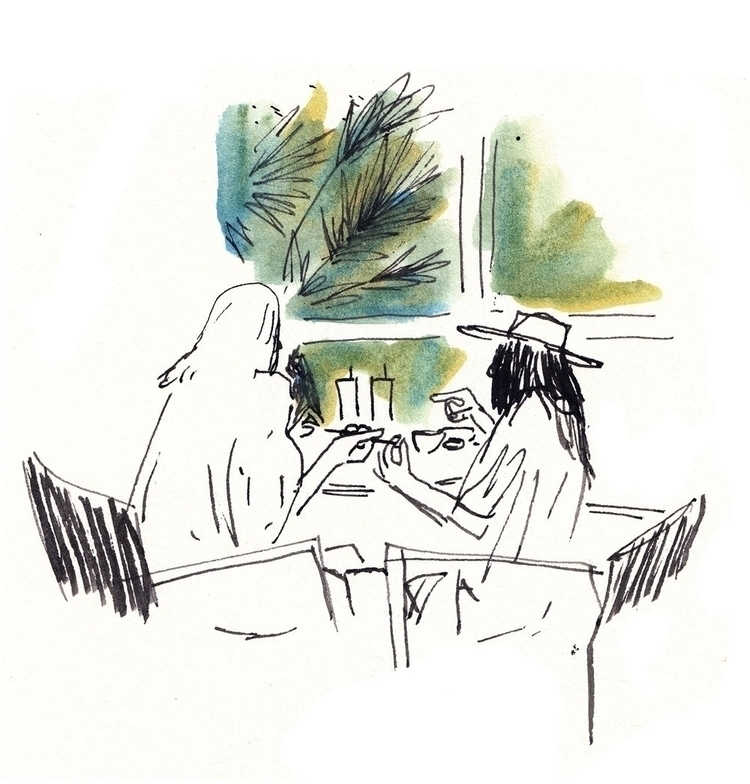 At a Tokyo café, two girlfriends have lunch. Conversation is agitated, talking about the last guys they dated and how work is going. The interior is made of wood, reflecting a wooden cabin. the waiter comes and squats to take their order, in the best Japanese way where the waiter lowers to the clients' height.